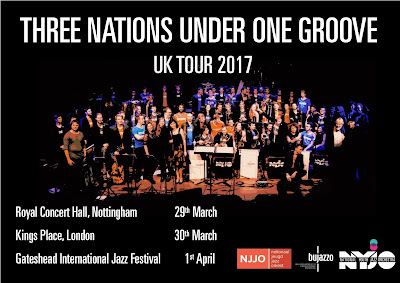 The National Youth Jazz Orchestra has set up a three date tour in collaboration with two visiting international youth jazz orchestras, including one date in the North as part of the Gateshead International Jazz Festival on April 1st. After a number of successful collaborations with Germany's BuJazzO and the Dutch Nationaal Jeugd Jazz Orkest, they have put together these three special performances featuring all three ensembles which are sure to be unforgettable gigs! 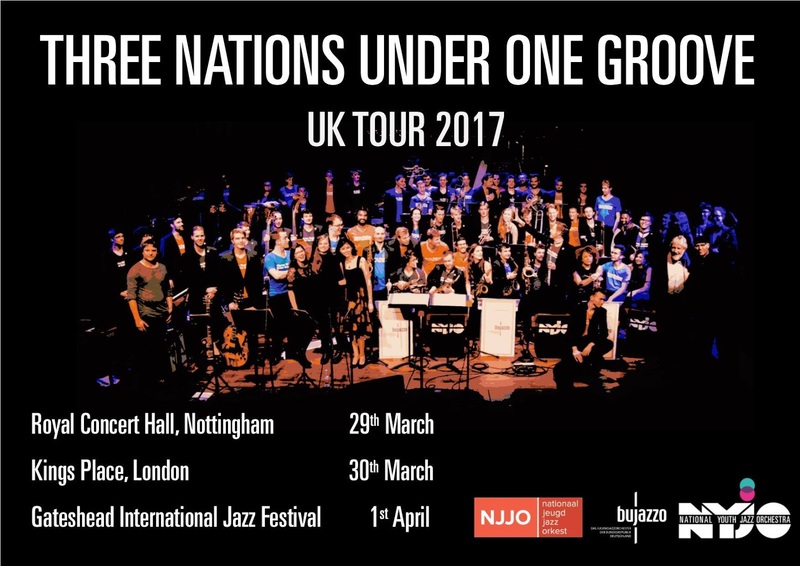 The whole concept for “Three Nations Under One Groove” is to demonstrate that jazz is a universal language spoken by young musicians across Europe, with the variety of colours and “jazz dialects” used by all three nations coming together to add nuance and conversation to the repertoire we play. One key element was that although all three groups brought their own repertoire and players, we would perform as mixed groups rather than separately as NYJO, BuJazzO and NJJO. The music ranged from NYJO’s eclectic mix of arrangements and commissions, original compositions by the NJJO director Martin Fondse, the epic Cuban Fire by Johnny Richards for Stan Kenton, and a “jazz concerto grosso” for big band and small solo group specially written for the project. Tickets for the Gateshead performance cost £15 and can be bought through the Sage Gateshead website.